who doesn’t love to Fly.For someone Flying is a passion or it is most Exciting stuff in life. I love to fly. Who will not love to moving into clouds and see the small earth. tinny seas,tiny houses. when i moving into sky, i murmured these songs.. “Aaj Mein Upar Aasman Neeche….chaloo sidhi ki ulti chaloo.. 🙂 “. really, this is most Exciting things for me. But My friend, everybody knows that rose born with thorn. if somethings is good then somethings must will be bad. Have you ever imagine to land those airport where you don’t know that, in a few minute later what will happen, will you be alive or not… you don’t have control on your life. you can do only pray. Think if we are fearing like this then how pilot would be feel on this situations.. Damm.. it’s too difficult to imagine.. When i read some of dangerous airport, my body got trepidation..really it was. i just said, OMG.. its very dangerous but my friend, you will surprised to know that people love to face this thrill. People stand and wait for flight landing and they do record those moment. the passengers who were inside they pray to god for safe landing and when successfully landed.. they feel really a wow experience. In lap of nepal mountains, there is beautiful place called Talcha. In this beautiful place there is a danger airport. Whole airport is made with “BAJARI (Gravel Stone)”. 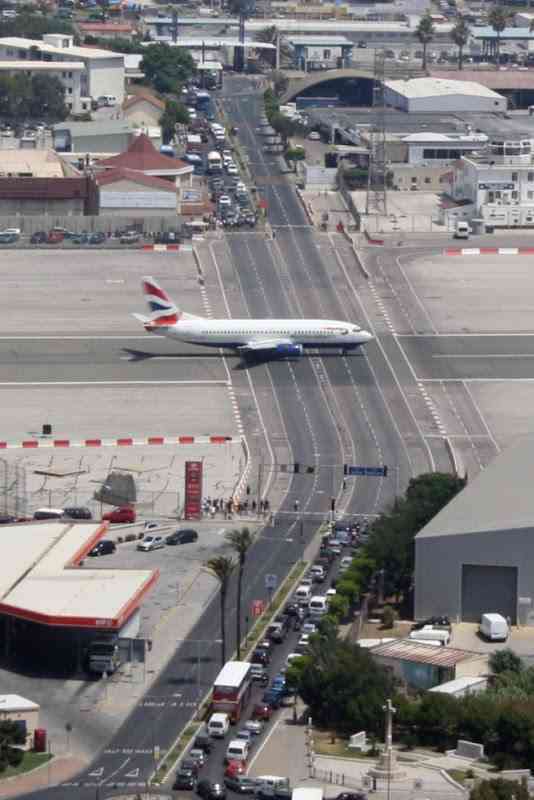 Therefore this runway is not plane. It’s too ugly and it invite every landing with fear of death. you will not believe but this is commercial airport. This airport has been build after cutting rocks. This place is 370 Km far away from capital Kathmandu. 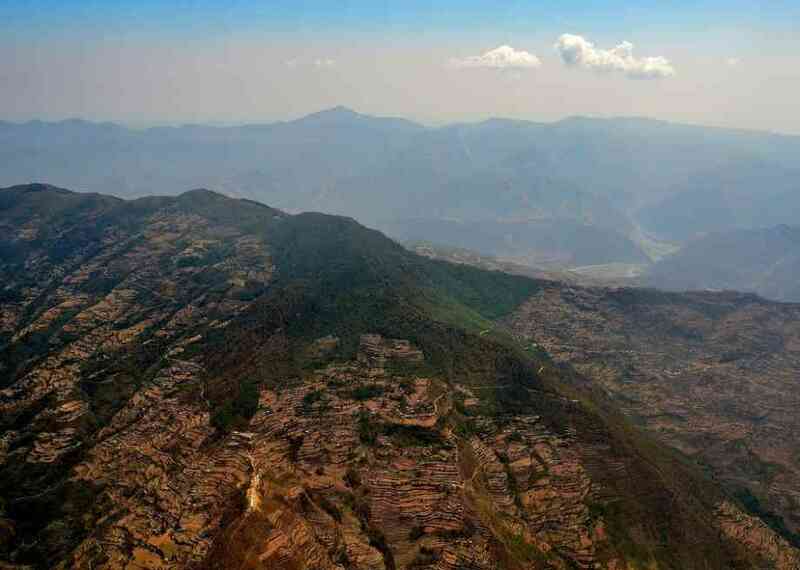 The village “Talcha” is situated in west nepal and 8900 feet above to sea level. You will not believe but to reach the nearest village from here will take 5 days just for cover 112 KM. Infact there is not such any roads. In 2003 talcha get a gift in term of this airport. Another side of this airport have deep trench. So you can assume that what will scene if a single mistake happen. Have you ever dream to land at beach directly instead of full flash airport. 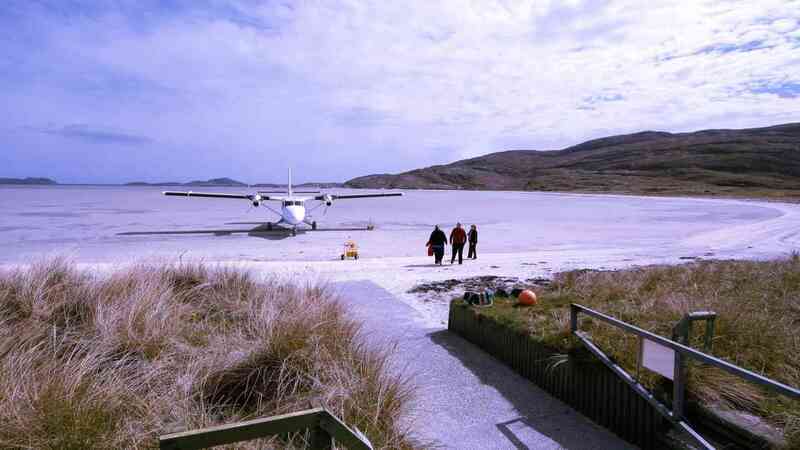 If yes then you should go for Barra airport. This airport is developed on beach itself. Every landing is unique here. Once you feel the landing experience, you will wish for more and more. However it’s very dangerous to land on beach where there is not full flash landing road like every other airport have. This airport have short runway. The interesting things is when high tide came, runway covered with water. So flight timing is vary with the tides. Have you seen that two busiest road who cross each other at 90o. One is for public transport and second for Runways. Sounds interesting isn’t.. But it’s not only interesting, it’s nominated as one of the dangerous airport. Runway also used by public transport when no flight being operate. 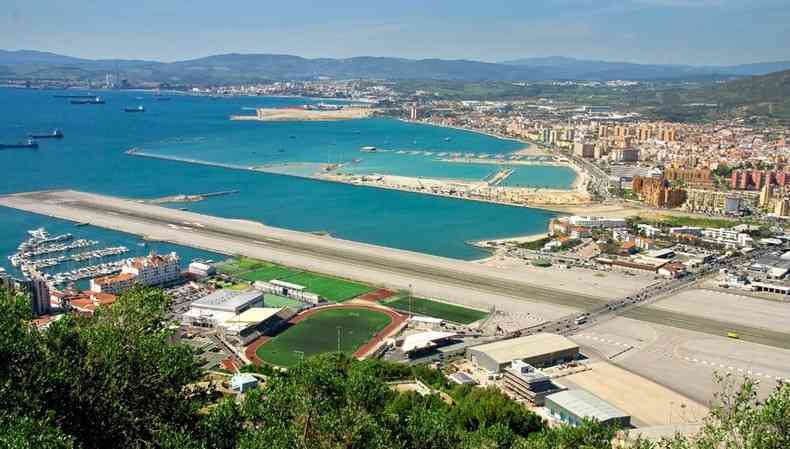 This Gibraltar International Airport is located in Gibraltar, a British Overseas Territory, Spain. 2. Princess Juliana International Airport Caribbean. A place where place fly just above 40 feet from objec, you will feel that place is moving over your head and wind like storm will pass toward you. If you are not catch something hard object to keep you stay then most probably you will fall away. Some time you will see that place is almost over the road. At Princess Juliana International, landing would be aLways eye-catchy. this airport has build over beach. The beach keep crowded for watching nice landing and takeoff. Fast thunder and full of dust will hit you with 160Km per hour but the fun what u will get will be definitely awesome. Some unknown holiday maker get down into ocean by just created wind force by plane. One great news for travers is Here you can shopping as much as you can bcz its custom fee. Yuuuup. This airport has developed at Maho beach in saint martin Sint Maarten Netherlands. Here is some great google review i found for maho beat and princess juliana international airport. Great place to sit and have lunch while watching the airplanes land. 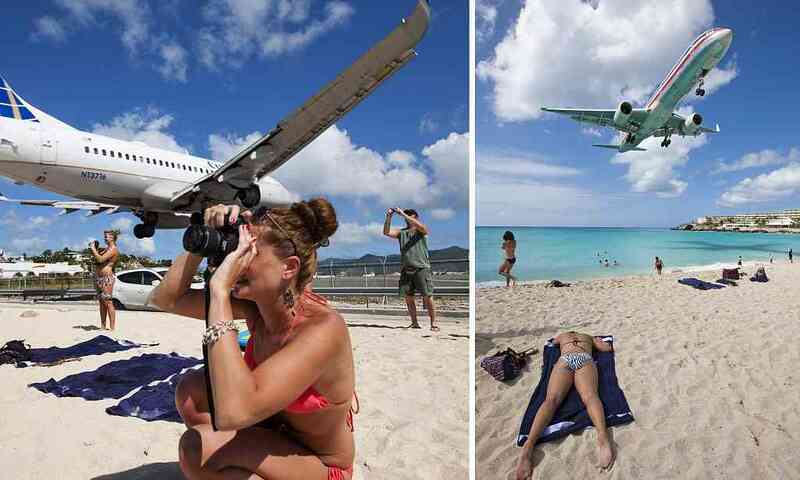 Just awesome, enjoy the beach while experiencia a unique landing of huge airplanes. Go early cause it can get crowded. Great spot for cruisers. Great little bar to have a drink at while you are watching the planes come in. They even have a schedule of which planes will be landing when so you know what’s coming up. 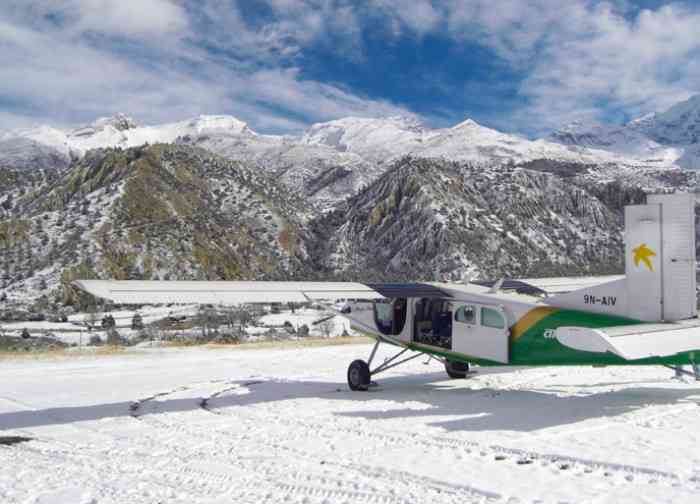 Lukla airport (Tenzing–Hillary Airport)This is one of the most dangerous but Exciting airport in this word. 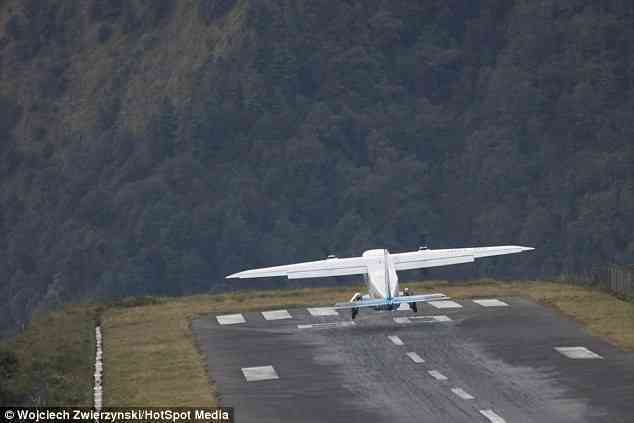 If you don’t have guts then landing at lukla airport is not for you. Seriously aapka dil aur dimag sunn pad jayega.. In a small place called lukla exist in nepal. This place is full of mountains and this this airport is baby of mountains. It’s just a 527 m.A small mistake can be a worth dangerous in a second. Its really scary. 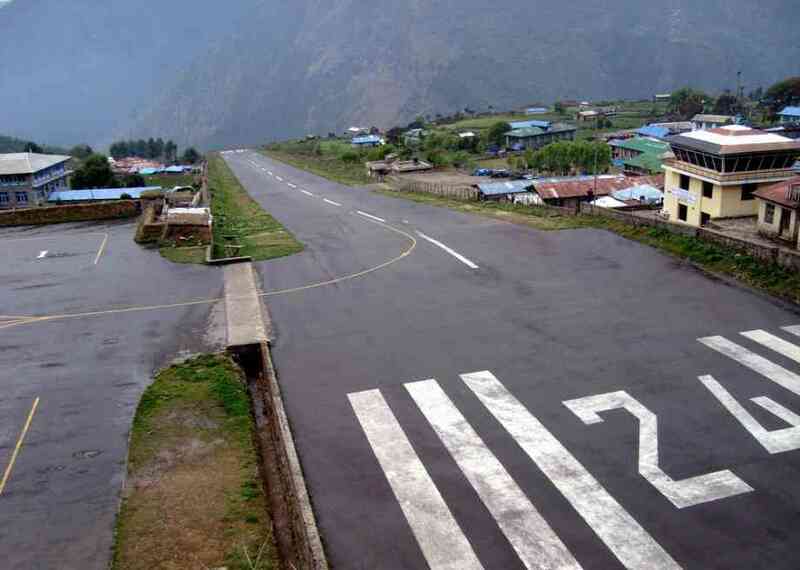 Lukla airport Elevation is 2,860 m and the runway is around 450m only. However, once you takeoff from lukla airport and you will keep open your eye, i am damm sure, you will never ever forget it. I am personally thinking to visit here atlist once in my life. Although it’s very near to my home town. 🙂 And at end, there is a saying that every beautiful things come up with price and and lukla has pay this price many times. 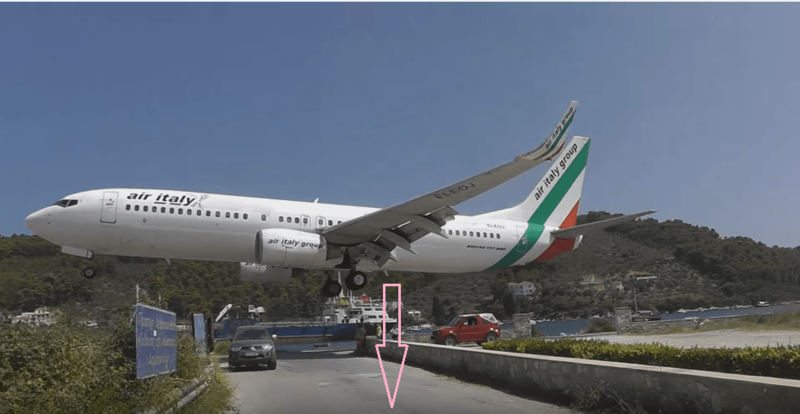 Checkout this video when plane crashed on lukla airport. That video has been upload by someone else on youtube. All videos has been embedded from youtube for reference only.